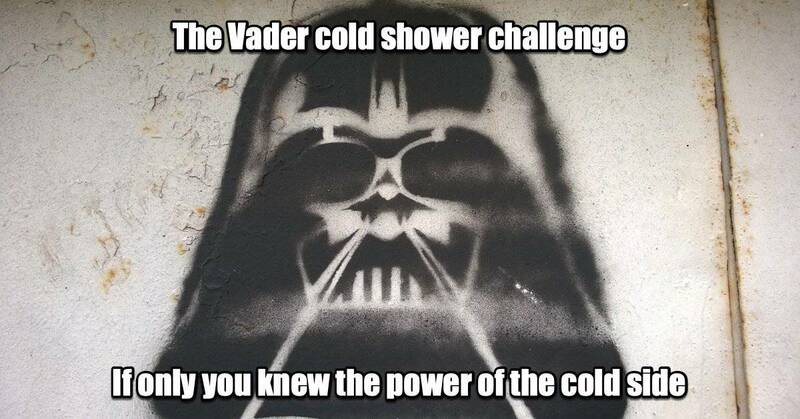 If you only knew the power of the cold side, you would begin the Vader cold shower challenge at once. Just ten breaths, that’s all it takes and the numerous health benefits of cold showers can be yours. You can do this, search your feelings, you know it to be true! Below is a list1 of just a few of the benefits of cold showers for those of you who don’t know the power of the cold side. Turn on the shower to warm, just as you normally would and step in. Begin to prepare yourself for the cold water by taking controlled diaphragmatic belly breaths: 3 seconds out (KHOOOOH…), 3 seconds in (PUUUHRR…). Here’s the fun part! Whack that water temperature down as cold as it will go. When you first start doing this your brain will make all sorts of excuses why you shouldn’t turn that temperature down. 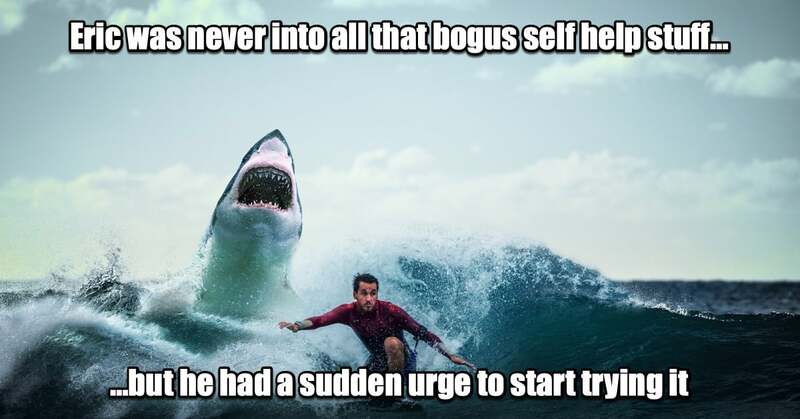 Yes, your thoughts betray you. As soon as the water gets cold, start counting your breaths. One full breath cycle of 3 seconds in and 3 seconds out is one count. You will struggle to keep your breathing regulated at first, but do not break… You are unwise to lower your defenses! As you continue to breathe and count, SLOWLY turn around and allow the water to go all over you. Pay special attention to the back of the neck. Be sure to rub some of that water into your face, thighs, and calves. Give yourself to the Cold Side. You will say to yourself “I do not want the Emperor’s prize damaged”, but wash that with cold water too. And no hand solo, even if your feelings for it are strong. Keep rinsing all over until you get to ten breaths then shut off the water. Get out and be surprised at how awake, revitalized, and even warm you feel. KHOOOOH PUUUHRR… KHOOOOH PUUUHRR… Impressive. Most impressive. Repeat every day for thirty days. After that, you will be used to it, the habit is building and you likely won’t want to stop! KHOOOOH PUUUHRR… KHOOOOH PUUUHRR… We find your lack of faith disturbing. Final point: You don’t have to actually sound like Vader when you are belly breathing, but go ahead if it makes you feel tougher. We have taught you well, you have controlled your fear. But the Vader cold shower challenge is, of course, just the first step. Follow us using the links at the bottom of the page and we will complete your training. Disclaimer: Before you begin any breathing or cold-related exercises such as those mentioned in the Vader cold shower challenge, be sure to seek approval from a trained medical professional. if you share this article.